Neh gaaw saga'igan is the local translation of Sandy Lake. The name Wabitiquayang, which refers to the short narrow river between Sandy Lake and Finger Lake, was used in the mid 1900's. Sandy Lake is a remote, fly-in First Nation community located in the boreal forested area of Northwestern Ontario along the Severn River. Sandy Lake is 450 km northeast of Winnipeg, Manitoba and 600 km northwest of Thunder Bay, Ontario. Sandy Lake has a land base of approximately 17 sq. miles. 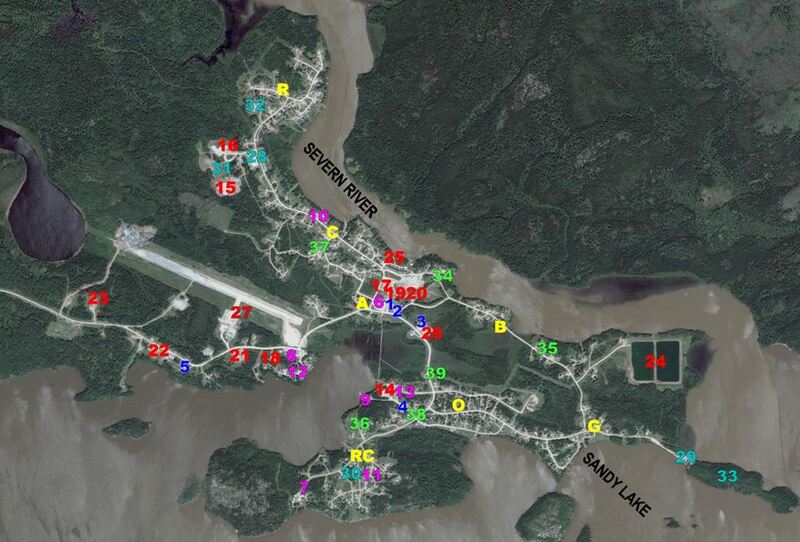 The community is made up of 7 geographical areas - River, Centre, Airport, Big Rock, Old Sawmill, Ghost Point, and R.C. As a fly-in community, Sandy Lake is accessible by plane only. During the winter months, it is accessible on the winter road network. The winter road season is approximately 6-11 weeks between January-March. It is during this time that the community ships essential materials and equipment for the year that would not otherwise be economical or possible to ship by plane. Sandy Lake First Nation is governed by an elected Chief, a Deputy Chief and eight (8) councillors. The Elders Council actively participate and attend council meetings to witness and advise on decisions and resolutions of all matters and issues encountered and dealt with by the elected council. 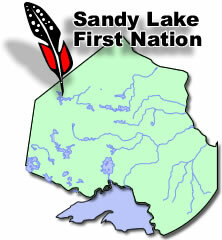 Sandy Lake is not affiliated with any tribal councils and sits as an independent representative in matters of business. Although independent Sandy Lake is affiliated with Nishnawbe Aski Nation, a provincial territorial organization representing 49 First Nations in northern Ontario.